"I would like to take this opportunity to thank all of your crew who worked on my basement. They were all conscientious and hard-working throughout the project. Again, all of your crew did a great job and turned my basement into a room I will enjoy..."
We offer a variety of patented and warranted products to help keep your crawl space dry. Our structural engineers can solve your residential and commercial foundation issues. 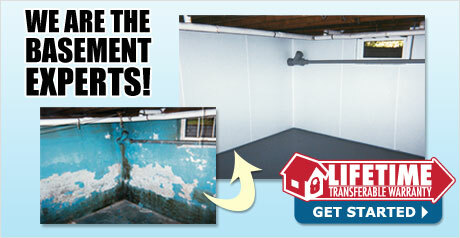 Basement Systems has been waterproofing basements & Crawl Spaces since 1987. Philadelphia Basement Systems provides crawl space repair, foundation repair and basement waterproofing services for the greater Philadelphia area. With years of experience dealing with homeowners throughout greater Philadelphia, we can find an effective solution for anyone with a wet basement or dirt crawl space. We can also help homeowners in southeastern Pennsylvania, southern New Jersey, northern Delaware and northeastern Maryland with foundation or crawl space problems. Our expertise in foundation repair or crawl space repair can make your foundation like new and make your crawl space into usable space. The Basement Systems Network is made up of more than 300 licensed and trustworthy dealer locations worldwide. 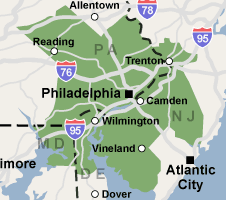 We are the Authorized Basement Systems Dealer for the greater Philadelphia region including Philadelphia, Newark, Reading, Trenton, Camden, Wilmington, Cherry Hill, Bensalem, Vineland, Chester, and surrounding areas.